Keeping the grass green on your side requires a lot of toil. And for most busy homeowners, it just takes so much time. Thus, we’ve compiled a list of lawn grass substitutes that is just as equally charming than your usual lawn specimen. Choosing wisely, any of these lawn grass substitutes can even give your outdoors a charming cottage garden look. Sturdy and fit for zone 8, the yellow creeping jenny variety will easily lord over your lawn and create a soft golden carpet for you to tread on. This medium height ground cover option transforms over the course of the year. Covering up to 15 feet of your lawn, it produces white floral blooms in spring while it gives off shocks of red berries in fall. Clover easily makes up for a soft green carpet as a ground cover substitute. Especially for those who hate mowing, clover gives you a low maintenance lawn plant option. From sunny to shady places, this plant does not have a hard time propagating. No need to fertilize it too, making it a thrifty lawn cover option for any homeowner. For those who is going for a meadow-like lawn, sedge is the plant you’re looking for. It thrives almost anywhere and grows in clumps. You can mow it in spring to rid of old grass and let it grow anew. If you want a charming outdoors that do not need much tending, prairie meadow mix gives you a lawn cover with shocks and spurts of color all over the place. A significant feature of this plant mix is its low maintenance. It also is not as water-hungry as other plants. Although it would love as much sun as it can get, it’s all a prairie meadow mix asks for. With these 5 lawn grass substitutes, say goodbye to your lawn mower and sacks of fertilizer. Say hello to a charming outdoor lawn and get more out of your lawn for less. If you still need more lawn substitutes or expert advice, contact us for a free, no-obligation consultation. No matter how good looking your patio is, it needs sprucing up from time to time. Here are some things you can do for your patio maintenance. Check your patio surface for cracks or breaks which might invite weeds to grow in it. If you’re unsure on how to fix it, better call up your contractor for advice. Tidy up the look of your patio by eliminating these invaders. Whether you’re using natural weed killers or going for the store bought option, just make sure you’re only targeting the weeds and using it in moderation. Check waterways and drainage systems. If you have a sprinkler system, check for leaks or test how the water is distributed, if it reaches all of the plants and moderates water distribution. Make sure that your drainage system is unclogged as well and there are no debris in its path. Check and see whether all your plants are healthy. Some may need some trimming, others containing. Check for parasites and unwanted insects and eliminate those. Whether you have hammock posts, pergolas, patio covers or fire pits, inspect these patio installments for any wear and tear. Of course, there’s bound to be changes due to the outside elements but also check whether it needs to replaced, refurbished or repainted. You can create your own relaxation spot in your home where you can unwind as you enjoy the outdoors. Transform your patio into a great spot to relax and entertain guests. All you have to do is get a few tips on how to decorate and furnish the space, and you have yourself a little haven in your home. The key to furnishing your patio lies in comfort, beauty and function. The following tips will help you come up with splendid patio furniture. Depending on the size and shape of your patio, you should make a furnishing plan. Develop a vision of benches, chairs and tables that you would have to get. Consider your lifestyle, color preferences, and the space that you have. Consider what you want the space to be used for in the future. You can plan a dining area where you can eat on warm summer days, a peaceful reading and meditating area, or a fabulous space for holding outdoor parties. This way you know what kind of furniture to get. Aside from the aesthetic value, patio furniture should be comfortable. Before you buy anything, test it to make sure that it is as comfortable as it looks. Ensure that the furniture you buy will look good and maintain comfort in the long run. Patio furniture, as well as garden furniture, get exposed to the harsh outdoors. When you go shopping, choose furniture that is weather-proof. Go for materials such as cedar, metal, teak, wicker and wrought iron. You can include pillows that you can store if the weather is bad. This way your furniture can look wonderful for years to come. Sometimes you have to move your furniture to another location for use or for protection. Do not go for benches and tables that are fixed to the ground. You can move the furniture in the basement or shed during storms or winter to protect it. Patio furniture is enjoyed mostly on warm sunny days. You may find great-looking plastic chairs and tables at cheap prices but may not last for more than two years. Go for quality pieces that will last longer. If your patio seems small for furniture, get pieces that can double up their functions. Consider pieces with double sitting space. Use benches that can be used as a table, and when you bring out the throw pillows, they become an instant sitting space. 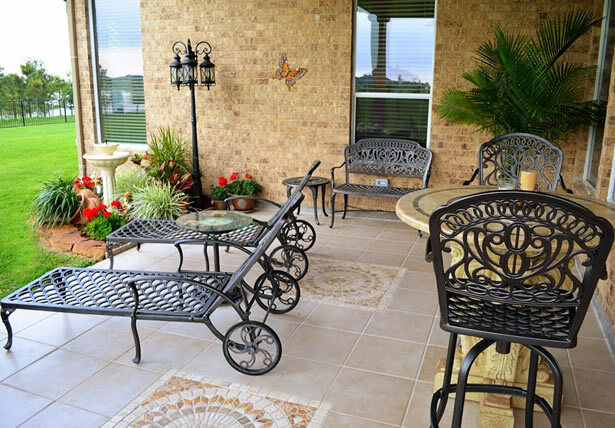 As much as patio furniture belongs to the harsh outdoors, you are not prohibited from adding a touch of luxury to it. Get soft throw pillows for the hard wrought iron chairs. You can also find soft, all-weather underfoot rugs that are suitable for outdoor use. 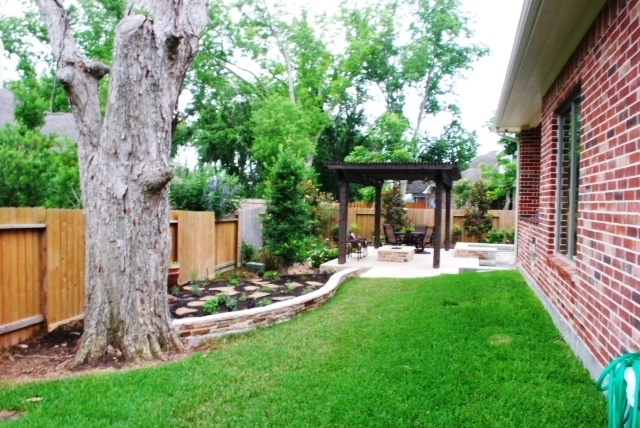 A landscaping job is, more often than not, as good as the professionals handling the project. If you want an excellently executed landscaping job, then you should only settle for a reputable and trusted company. Here’s how to pick out the pros from the crowd of mediocre companies that undertake landscaping works. The company that you should settle for should offer you sound advice on how to take care of your lawn throughout the year. This is especially important when choosing the type of plants, flowers, and other décor in your garden. A company that has been in business for quite some time can be easily found in the local directory. However, these days it is almost compulsory for serious landscaping businesses to have some form of online presence, such as a website, or a social media page. If the landscaping company you want is hard to find, then probably it is not wise to hire them. If you have a clear picture of how you want your lawn to look, and your idea is practical then any landscaper worth his salt will find it easy to execute. However, if the landscaper does not have access to equipment for the task, the outcome will surely not satisfy you. Make sure to confirm that the landscaping company is fully equipped for the task at hand. All landscapers undergo some form of education that is relevant to their trade. The vital insights, practical skills, and useful knowledge they learn concerning landscaping is important for your specific project. Furthermore, a certified contractor is sure to have met the legal requirements for handling any project, this includes having adequate insurance. You cannot afford to ignore any work that the landscaper had done in the past, since this is hard evidence of what their company can and cannot do. Gain access to as many pictures of previous work, and personal testimonies from their past and present clients for you to get a clear picture of what to expect. It is common to find landscaping companies that specialize in different aspects of the job, and depending on your need, you should go for specialists in that field. Some companies can specialize in lighting, others in paving, while some are into building swimming pools, ponds, and other landscaping components. You cannot afford to ignore the cost aspect in a landscaping project, since there are companies that charge too high while others are suspiciously cheap. But do not compromise on the quality of the project by solely basing your decision on the cost. This is why you need to come up with a reasonable and clear budget. Some high-end companies will offer you a number of attractive services after the project is through; services that are worth the investment. If you are looking for patio furniture ideas, you can get overwhelmed by the variety of patio materials and the numerous styles out in the market today. However, you should settle for the furniture that will complement the look and design of your patio, stay within your budget, and will make you feel comfortable. Popularly known as motel chairs, these types of chairs are quite common in many patios. They are easy to handle, do not require expert maintenance; come in numerous designs, and they can be as comfortable as the couches in the living room, if fitted with a good cushion. You can paint them any color that goes along with your patio theme and their light weight makes it possible to move them around as you wish. The best ones to acquire are the ones that will hold strong through all types of weather. You can even get the type that you can hang from a pergola to give you that swing-like feeling. A couple of these wicker chairs or just a big one on your patio can create a special nook where you can spend some quality time with a loved one or read a book by yourself, away from any form of distractions. 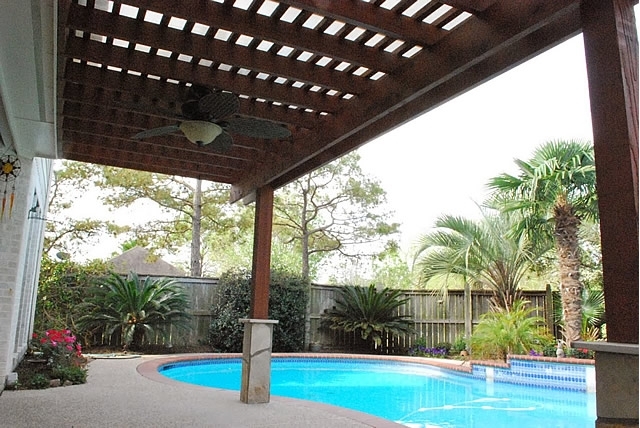 Many homeowners use wooden furniture, especially with covered patios. Wood furniture is great because it lasts for a long time; it is easy to come up with unique shapes and designs for it and it is affordable. In addition, wooden furniture is not that difficult to maintain; and with the proper coating, it can withstand any weather condition. Plastic patio furniture is one of the easiest types of furniture to handle. Unlike most other materials, you can stack the plastic seats up when not in use and you can dismantle the tables and keep them in safe storage until the time when you need to use them. There are numerous designs to choose from, and they hardly need any maintenance except wiping them if you find any dirt on them. Except for breakage, plastic furniture will not wear down for years, and you can place cushions on them to make them even more comfortable. Cushion makers manufacture products that can take any shape or size, and getting huge cushions and placing them out on the patio can be a great idea. These cushions also come in different types of fabric and you can settle on whichever you find is the best quality and ideal for your patio. You can get aluminum furniture that’s been carefully crafted to meet your patio design needs. The best aluminum furniture manufacturers make furniture that is not only stylish and comfortable, but they offer warranties on their products as well. They can produce highly detailed or simple and elegant furniture that will transform your front space into your dream patio.